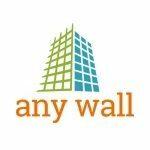 Anywall Ltd supply and mount a range of external wall insulation, render and coating systems for property owners, landlords, housing groups and community authorities all throughout Scotland. They manage your whole project from start to end. They can assist with financing where applicable, detail and manage a system of works, liaise with homeowners or the customer and accomplish the tasks to specification.